File this under: Why Doesn’t Every Town Have One? 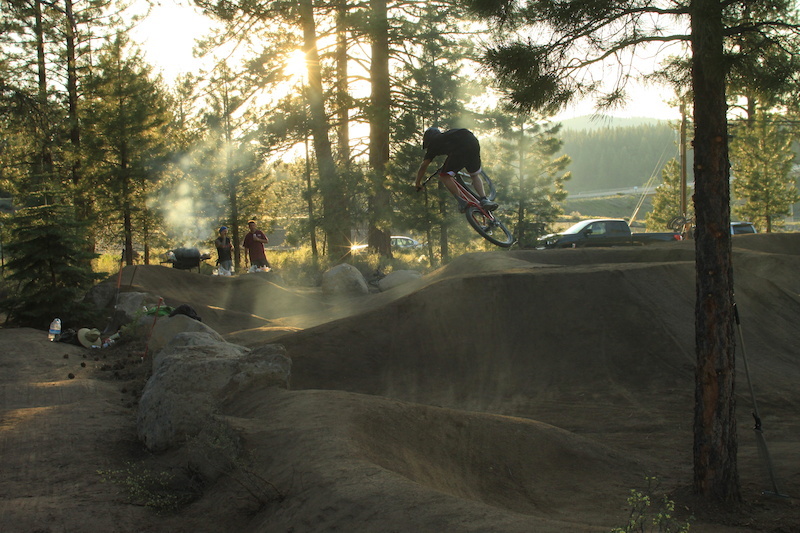 Truckee, California has a crazy beautiful new place for riders. 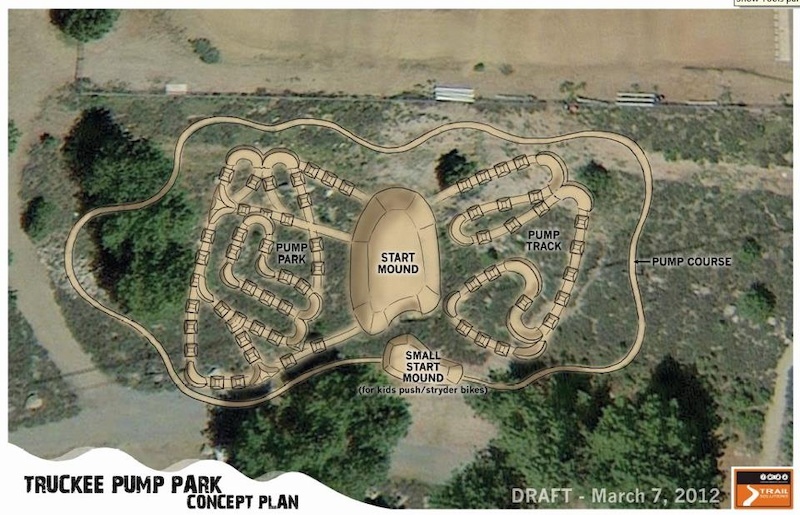 It’s more than a pump track – it’s a BMX-style pump park, with starting mound, lots and lots of lops, and a strider loop surrounding it for the groms. Read about it on Pinkbike // Follow on Facebook. 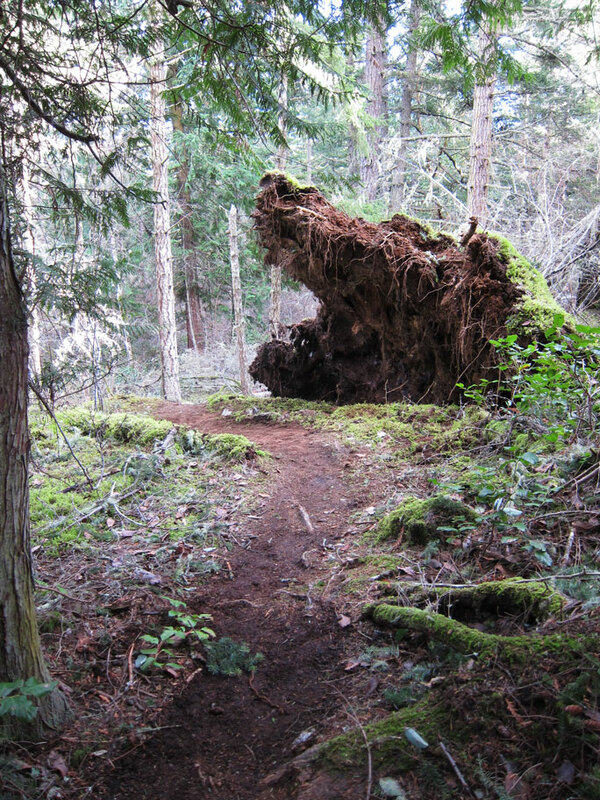 This tree tipped in a windstorm and took the trail with it. 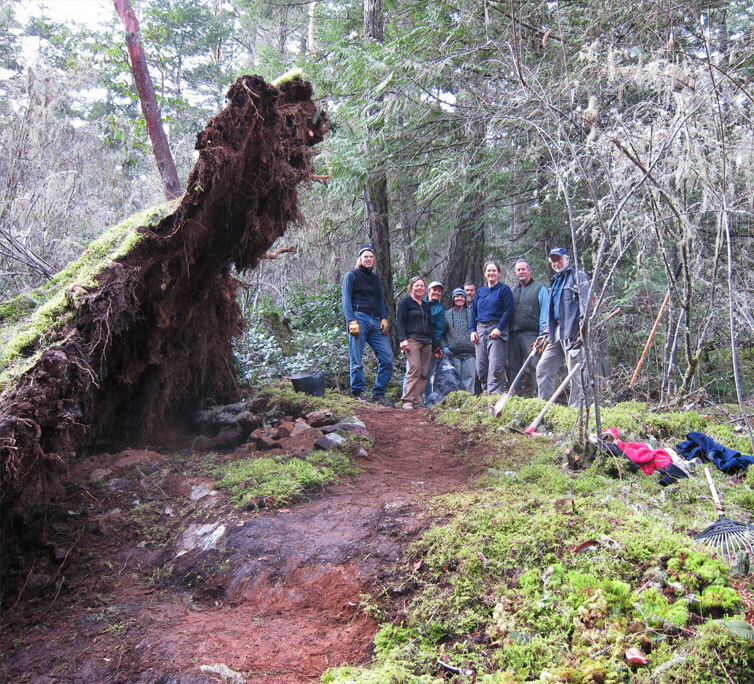 Rather than cut the tree, we decided to reroute the trail around the root mass. 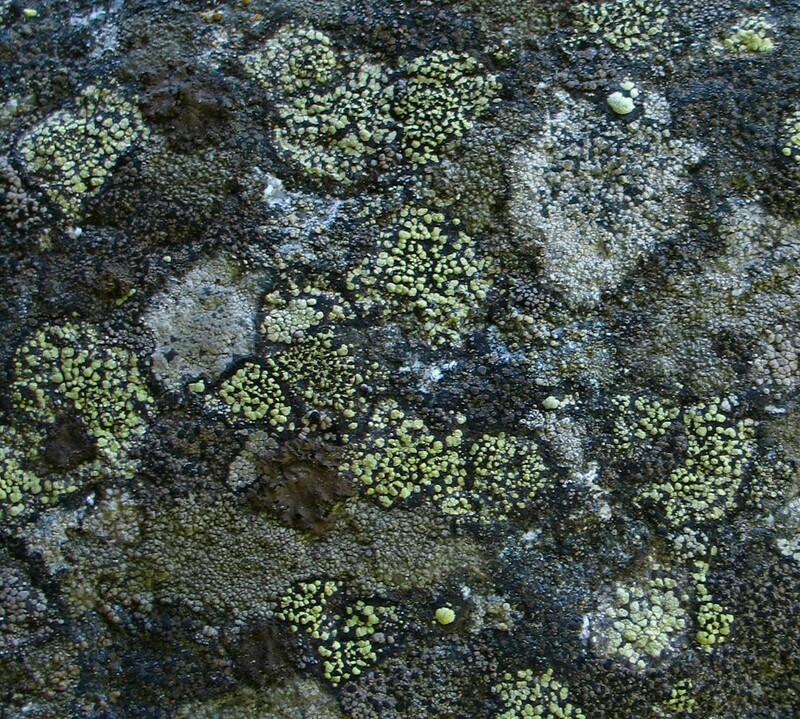 What was a tricky but unremarkable spot on the trail is now a section with a cool natural feature. Source: Duthie 7 Steps on Evergreen’s excellent wiki. 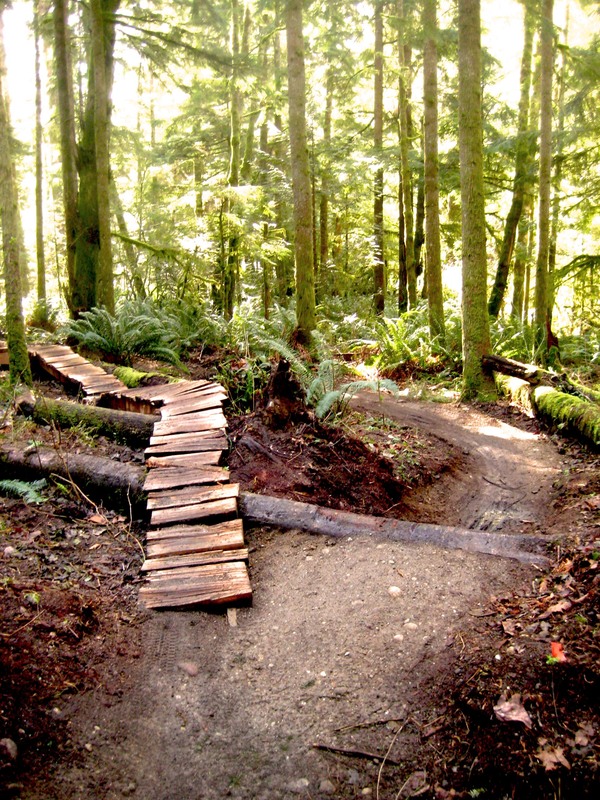 Evergreen Mountain Bike Alliance, Washington State’s biigest MTB club, started building Duthie Park in 2008. Phase I officially opened summer of 2010. Read more about Duthie Hill. P.S. 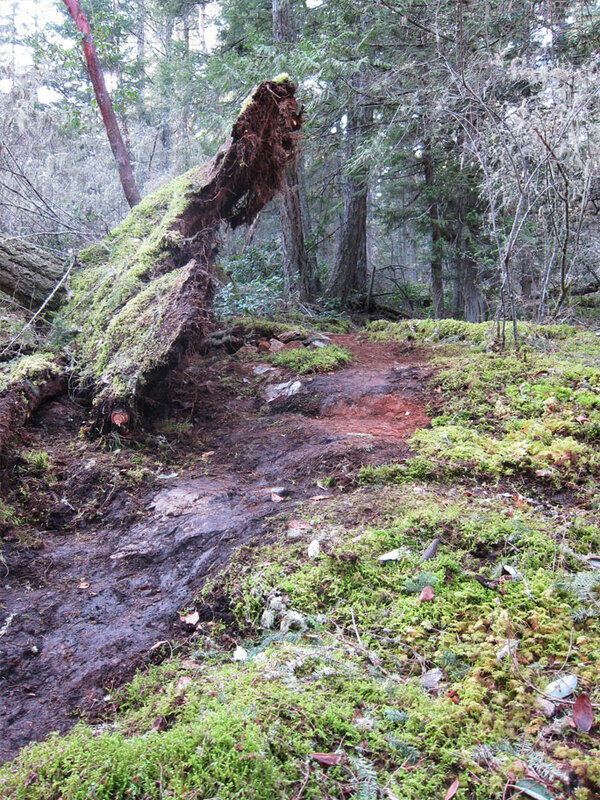 Want to help them build more trails? Check out the work party schedule.